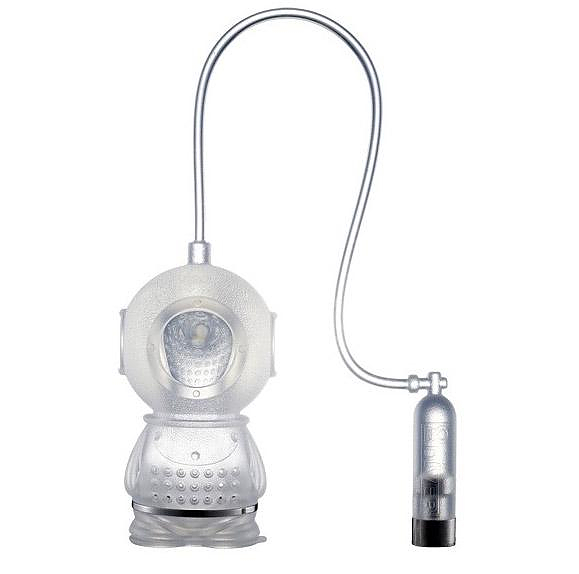 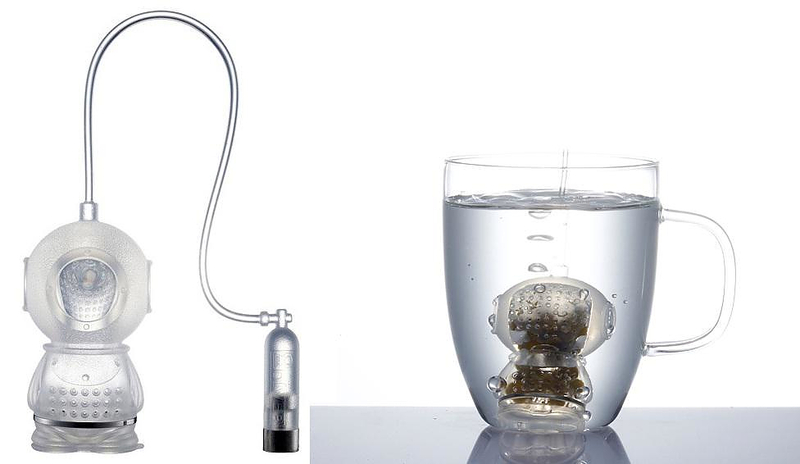 HomeBlogHome DecorTea Diver tea infuser. 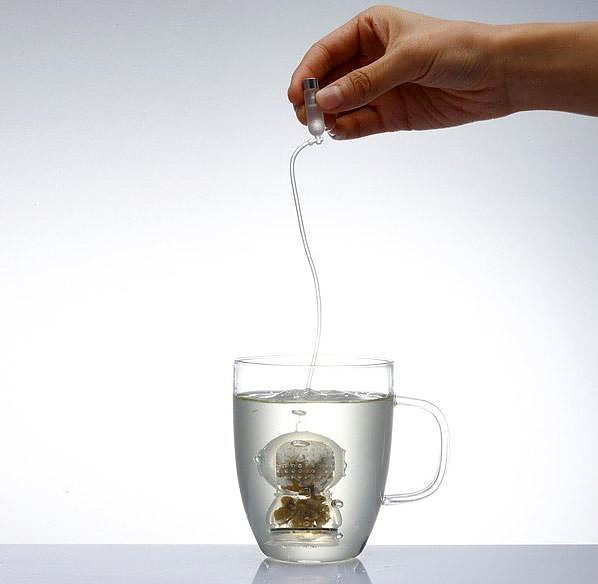 This funky tea infuser was designed by Yoon Sung-Mun and Kim Sun-Young for Korean AbelDesign in 2010. 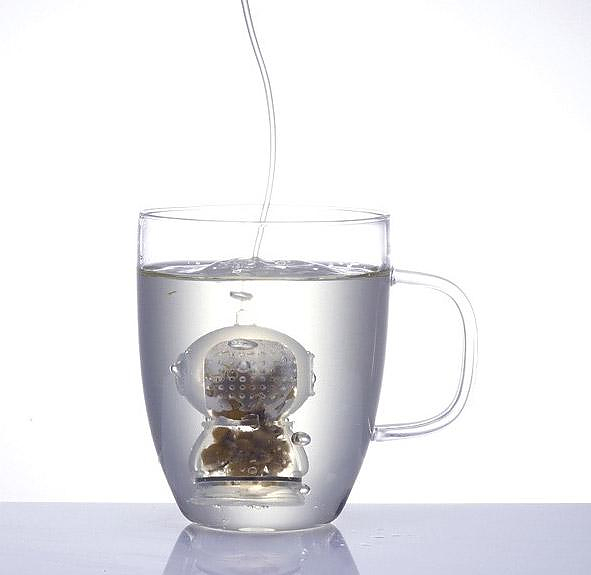 It is a tiny scuba diver who will dive in your cup full of loaded with your favorite tea. 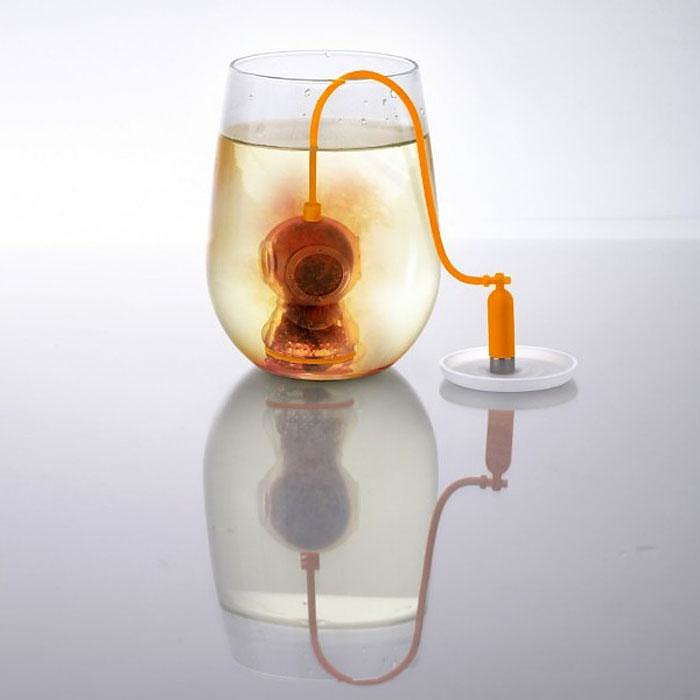 The design is inspired by the traditional Korean diving suit known as Meoguri, which which banks on a single string from its oxygen tank to explore the depths of the deep blue sea. 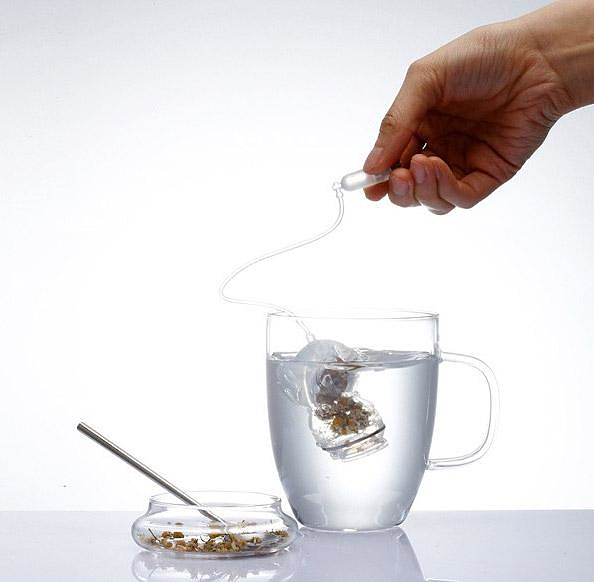 The Tea Diver is made of 100% LSR Platinum Silicone (liquid silicon rubber), a material certified for contact with food products which is resistant to high temperatures. 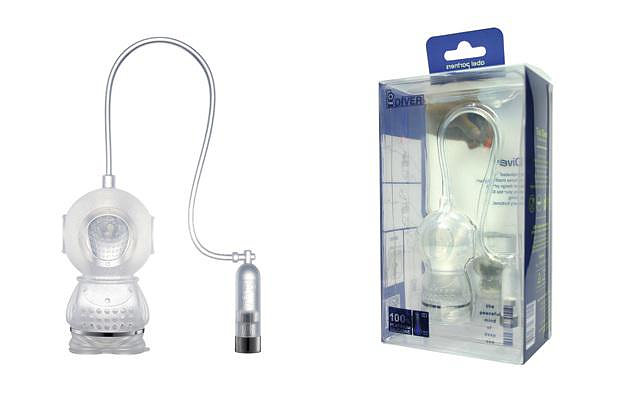 The same material is widely used for manufacturing baby bottles. 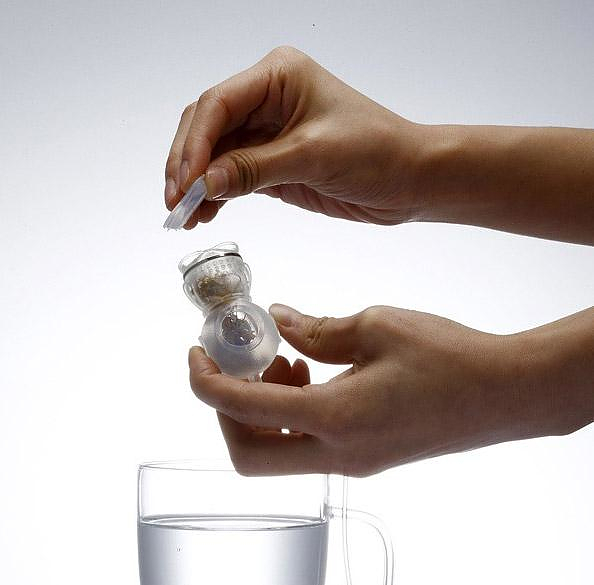 It does not release any toxin, it is perfectly safe for humans and it can be disinfected with hot water. 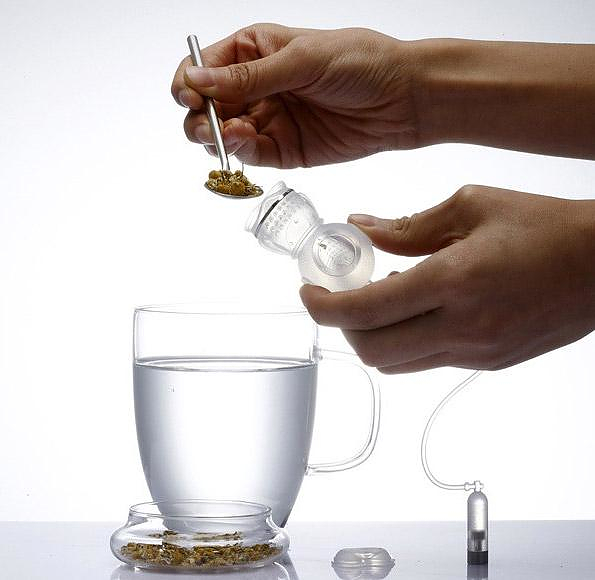 A smart and practical accessory for tea lovers, just fill the Tea Diver full of tea and drop him down your cup, before long you will enjoy a nice cup of tea.